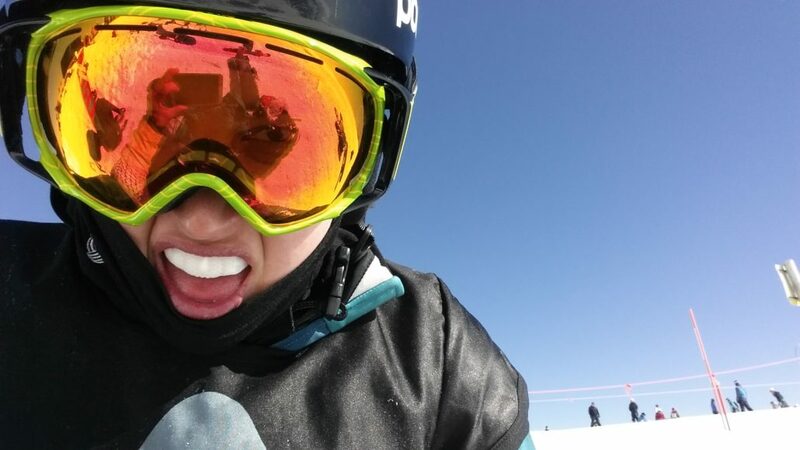 From Olympic athletes to kids just starting out on the slopes, mouth-guards are imperative to maintaining optimal dental health and protecting those pearly whites. Mouth-guards are proven to protect teeth from damage due to injuries, falls and aggressive performance, and have also been shown to limit and reduce the impact of concussions. Elite winter athletes are required to wear mouth-guards when competing and more frequently amateur and new athletes are wearing them as a precautionary measure. 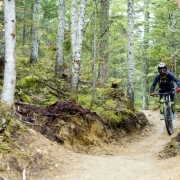 Although Whistler Blackcomb does not have a rule making mouth-guards compulsory they are highly recommended by the mountain. Typically mouth-guards are worn over the upper teeth and act as a cushion between the teeth. Sports related injuries are three times more likely to cause facial/ dental injuries than motor vehicle accidents and are six times more likely than work place accidents. Aggressive skiers and snowboards will often have vibration between the top and bottom teeth and in some cases the teeth can slam together when riding jumps, moguls or bumpy terrain which can cause damage to the teeth. Enduring falls are another reason to protect the teeth with mouth-guards due to their ability to dampen force when the top and bottom jaw slam together. 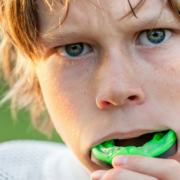 Getting children in the habit of wearing mouth-guards young will ensure their teeth are protected as they advance in the sport and become more prone to dental injuries. Less skilled athletes also have a high propensity towards injuries causing damaged teeth and many experts believe that wearing mouth-guards can reduce the severity of concussions by cushioning the impact. Toronto based neuro surgeon Dr. Charles Tator believes there’s a good chance that mouth-guards ward against concussion, and although no definitive scientific evidence exists, it is strongly possible that mouth-guards protect the impact on the brain. Mouth-guards can be clear or white, and also come in a multitude of colours. Getting a mouth-guard that not only appeals aesthetically but that more importantly is comfortable, doesn’t interfere with speech or breathing, and has additional protection (if required) to protect other injuries is ideal. There are three types of mouth-guards to choose from, the first type soaks in hot water and then moulds to the teeth, the second is custom fitted and made by a dentist and finally there are pre-moulded mouth-guards; these tend to be the least attractive and effective option. To protect your mouth on the slopes this winter season make sure to talk to the friendly staff at Whistler Dental to order your custom fit mouth-guard. So you need a root canal – what this means and how to prepare? Do You Need a Smile Make-Over?